Ms. Stephanie grew up in Placentia, graduating from El Dorado High School. She received her bachelors in Biology with a minor in Chemistry, her teaching credential, and her masters in Education Administration from Cal State Fullerton. 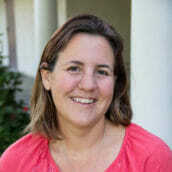 She has taught science at both the high school and junior high level, coached soccer, lacrosse, and swim. During the summer she runs a Swim Lesson Program teaching swimming to kids of all ages. Ms. Stephanie recently became a mom. When she’s not teaching or coaching she enjoys yoga, photography, and traveling the world. She has traveled with Women for World Health on missions as their photographer and loves to see various cultures in the world.